Local editors offer the latest and useful information to help plan a trip around the Okinawa main island and its outer islands, such as Ishigaki, Miyako and Kerama. The article also features introductions of must-see and little-known destinations, and also interesting experience programs to participate so you can brag to your friends, as well as encouraging you to take pictures of good food. 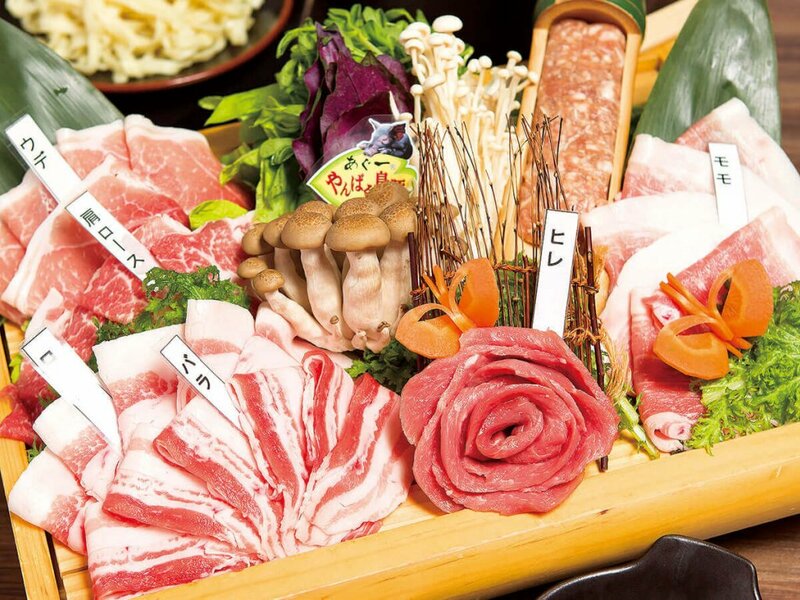 We bet you want to savor the natural flavors of agu pork and Ishigaki beef, Okinawa’s high-end ingredients. Shabutei Yorokobi opened in April 2018 to make that dream come true. Here’s our report! Kura Highball, a great companion to Okinawan food and the recommended start point for awamori beginners! Awamori is the most well-known Okinawan alcohol. 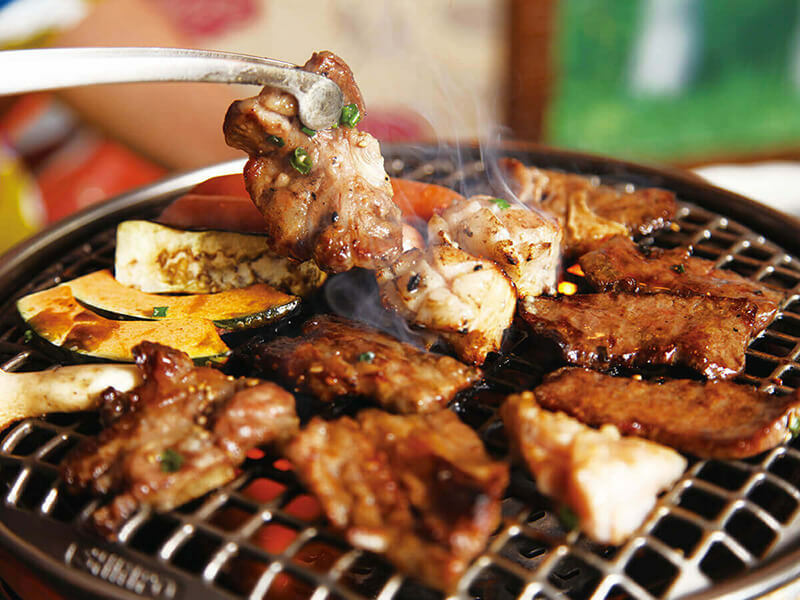 Characterized by its richness and aromatic flavor profile, locals enjoy them with meals. 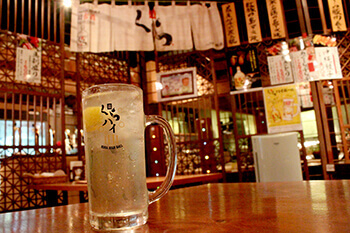 At restaurants in Nago city, where Helios Distillery is located, you can currently get a free Kura Highball! The campaign won’t last forever, so don’t miss your chance! Let’s go to Makishi Public Market, Naha’s kitchen! Makishi Public Market, which is a part of locals’ everyday life, is the place to go if you’re looking to enjoy Okinawan food and interact with locals. It’s a popular tourist destination, where you can find abundant colorful fresh fish, huge cuts of pork, and tropical fruit and vegetables. Here’s our report on this charming market! From Okinawa soba noodles, steak, sea grapes, goya champuru… There isn’t a shortage of food to try in Okinawa. However, there are still more types of food that aren’t very well known. This time, we’d like to introduce you to hidden spots that Okinawan locals recommend. We’ll introduce you to dessert shops that serve the fluffiest shaved ice, restaurants that serve the best local ingredients and Okinawan Agu pork, Okinawan fast food, and even local craft beer. We’re sure that you’ll find something that you’ll love. 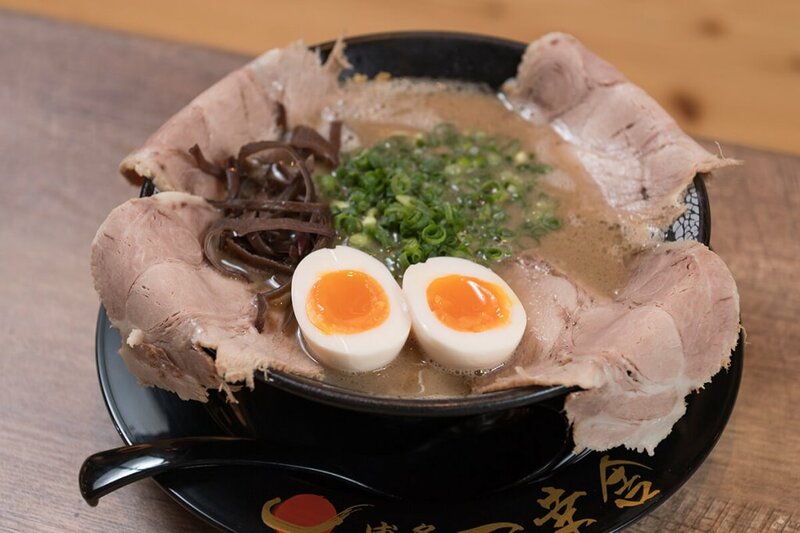 Introducing a variety of dishes from traditional cuisine to everyday ramen noodles. 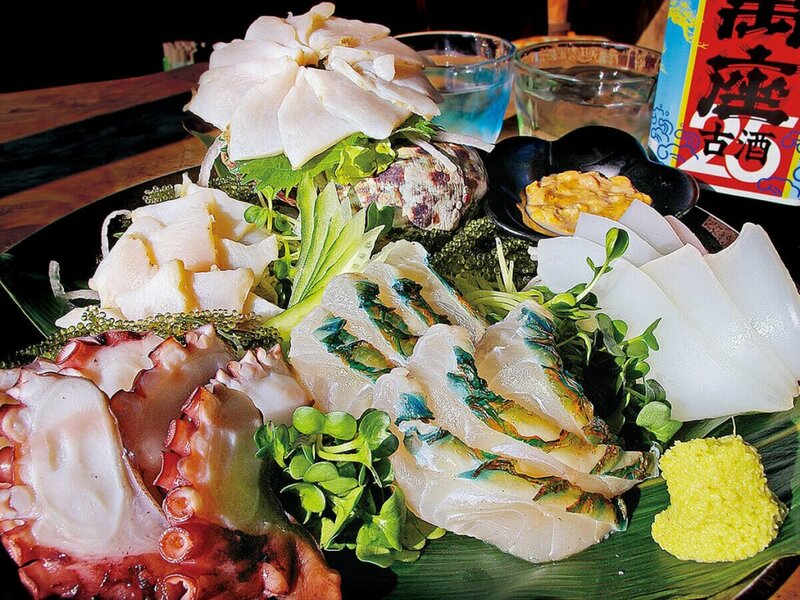 You are going to want to try Okinawan seafood, Agu pork, and beef dishes. Try whichever ones you want, or try them all! Enjoy sampling and comparing the various dishes that feature Okinawa's signature gourmet items, including Agu pork, wagyu beef and fresh seafood. Let’s eat up popular brand pork “Agu”! Pork has always been an indispensable part of Okinawan cuisine. It is said that Okinawans eat every part of the pig except for its squeal. Out of all the varieties of pork that are available, Okinawa's native aguu is the most popular and has been used to create many more varieties -- each with its own characteristics -- through crossbreeding. Why not try them all? 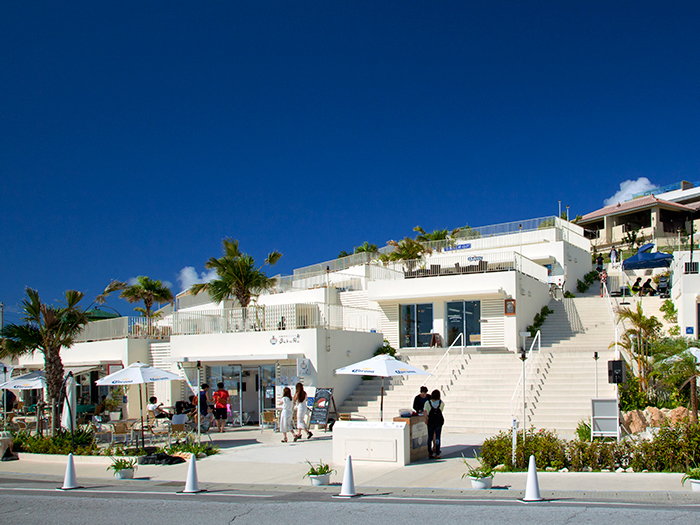 In Okinawa, there are many cafés where you can enjoy amazing views along with food and drinks. 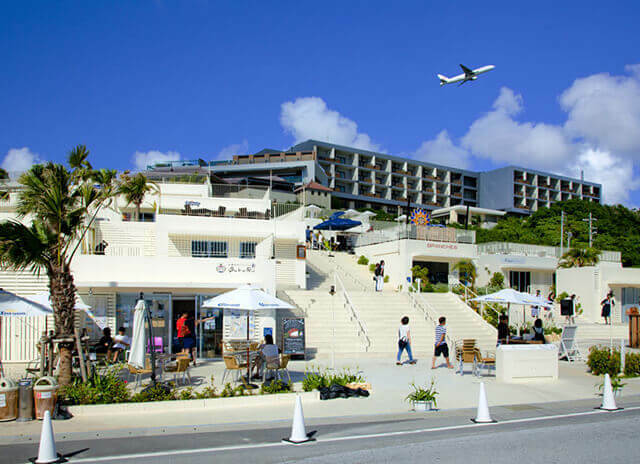 The southern area of the main island of Okinawa is close to the airport, so you can enjoy your time at a café on the day you arrive in or depart from Okinawa. We will introduce photogenic cafés that will make you want to upload photos on your SNS, from a seaside café with a great panoramic view of the Pacific Ocean, to a forest café surrounded by rich nature. In the northern region of the main island of Okinawa where nature is still preserved, there are many stylish cafés you should drop by while sightseeing! From a seaside café with an amazing view of the sparkling emerald green ocean, to a forest café that makes you feel like you're at a hideout. We will introduce eight cafés that will be sure to make fashionable girls want to take pictures. Since its opening in August 2015, “Senagajima Umikaji Terrace” has become increasingly popular. Close from Naha Airport, you can freely stop by on the day you arrive or just before your return trip. There are 30 shops such as restaurants and sundry goods stores inside the white building that stands out against the blue sky. This time, we will introduce four stores that we recommend from among the many stores. 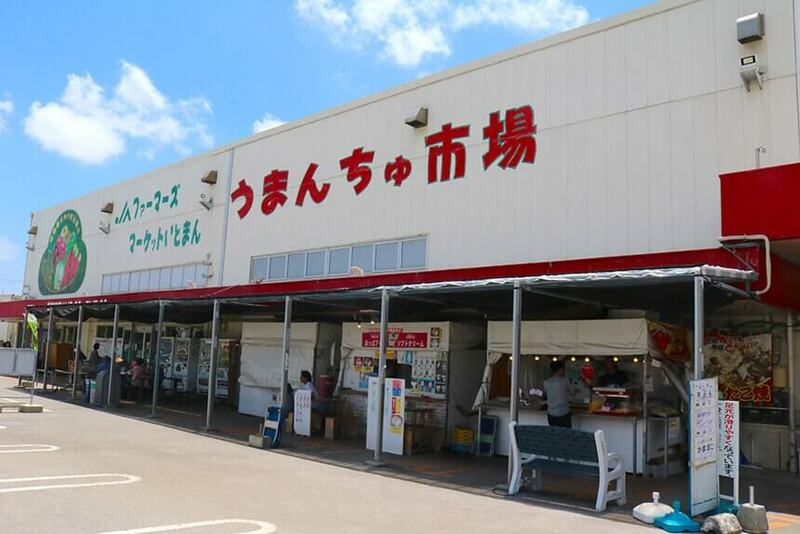 Tourists can enjoy the many tastes of Okinawa in Onna no Eki Nakayukui Market, situated in Onna Village. It’s a great place to stop by while driving or even to make a trip just to go eat there. 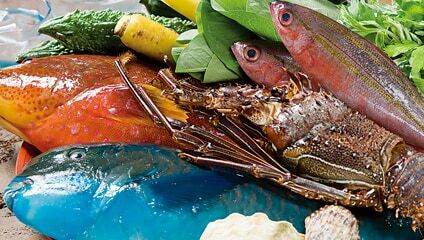 There are local flavors you can try out and various tropical sweets and seafood. We’ll introduce you to some great stuff they’ve got to offer. The beef cattle of Ishigaki island have been raised in the wide, open pastures of Okinawa, Japan’s only region with a subtropical climate. If you’ve come all the way to Ishigaki Island, you really must try Ishigaki beef, which has been raised by the sun and wide, open spaces of the great Okinawan outdoors. The meat has a texture that is not overly fatty and a sweetly fragrant and rich taste, making it popular among diners of all ages, from small children to senior citizens. 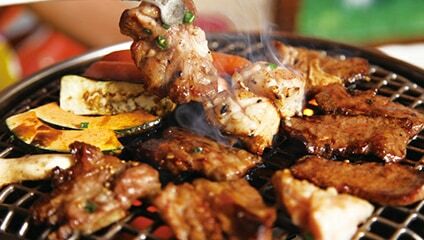 This edition, we will feature Ishinagi-Ya, one of Ishigaki Island’s most well-known specialist Ishigaki beef restaurants. Taco rice is one of Okinawa’s signature dishes! Check out our list of ten popular taco rice restaurants. Taco rice is Okinawa’s signature rice bowl, topped with ground meat, cheese, and salsa. It’s become a popular dish in and out of Okinawa. Here we have a list of some popular taco rice shops, for those of you who want more than just an ordinary taco rice! From a generously portioned, traditional taco rice to a more modern taco rice with fluffy eggs, we got a wide variety for you. Find the shops you’re interested in and stop by during your drive or while hitting tourist spots! 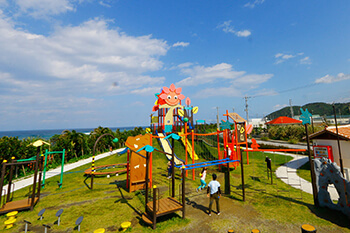 Eight parks in Okinawa with large slides and exciting playground equipment. Okinawa Airport Shuttle began operating in May 2018. 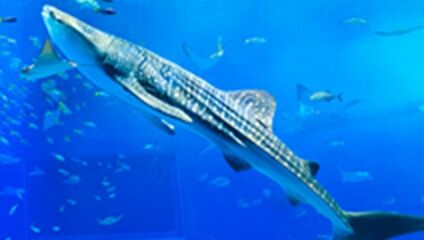 Take just one bus to get to Okinawa Churaumi Aquarium from Naha Airport! It’s about a two-hour drive to get to the aquarium, even on the expressway. Avoid exhaustion from driving and worrying about getting lost by using the bus, and instead just enjoy the scenery and conversations with your friends and family. Since this isn’t a guided tour bus, you can come up with your own schedule; it’s nice that you have less time restrictions. Here’s our report on how to make your trip to Okinawa Churaumi Aquarium even more enjoyable by using Okinawa Airport Shuttle! Okinawa main island is accessible from Taiwan in just 2 hours on a direct flight. The island is home to many beautiful beaches and nature. Here, we’ll showcase 5 must-see spots for those who are first-time visitors and, of course, gourmet information too! There are plenty of information regarding theme parks where you can learn about Okinawa’s culture and history, diving shops in the Keramas where you can experience marine sports, and gifts and souvenirs only found in Okinawa main island. Newcomers will surely enjoy their visit! 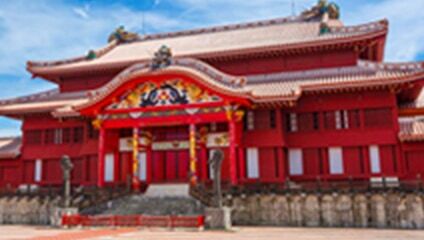 You’ll find Shuri in Naha-City, the cultural and economic center of Okinawa. 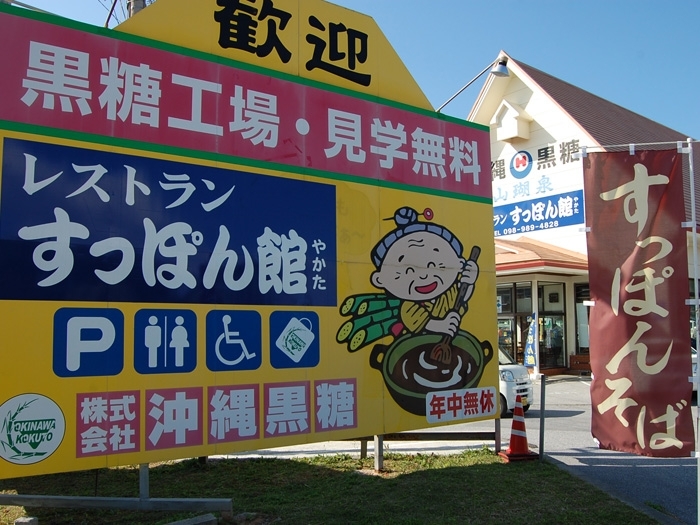 There are many places for tourists to visit in Shuri. Visitors can experience and learn about Okinawa’s history at the World Heritage of Shuri Castle, the Stone Steps of Shuri, or in the workshops of a traditional textile factory. Of course, there are plenty of gourmet spots for the foodie in your group. We’ll introduce you to 6 spots where you can try Okinawa’s unique foamy tea, as well as a restaurant where foodies can enjoy Gold Agu Pork – a renowned brand of pork from Okinawa. Start exploring Shuri on foot once you get off the monorail at Shuri Station! Maximize your stay on the island by experiencing Okinawan night life! Check out these 8 recommended tourist destinations. Okinawa has lots of tourist spots that are open late. These places are as much fun at night as they are in the day. 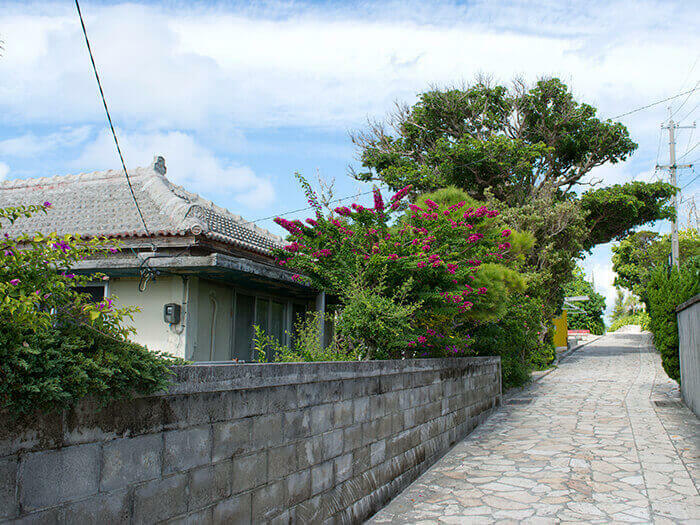 From family fun activities to illumination spots for date nights, we got a carefully selected list of places on the Okinawa main island you won’t want to miss! 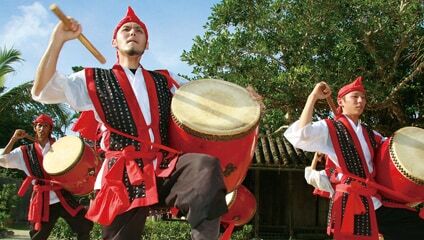 Awamori is one of Okinawa’s traditional cultural icon. Its aroma and deep flavor makes it a unique and delicious liquor. You can have a glass at an Okinawan restaurant, take one as a souvenir, or enjoy it in a way that you could only do in Okinawa. The factory tour is definitely one of those ways. Dedicated staff at Helios Distillery – located in Nago-City – will guide you through the factory and explain the processes involved in making Awamori. There’s even a free taste-testing session after the tour! Here’s how to make the most out of your visit to Helios Distillery – the distillery at the heart of Okinawa’s nature. 6 Places You Have to See in Naha – from Visitor Favorites to Hidden Gems! Naha City is the largest city in Okinawa. Visitors can enjoy various tourist attractions as public transportation systems like buses and the Yuirail monorail are quite convenient. Since central Naha is close to the airport, you can still make time to hit up some spots even on the final day of your trip. So what’s there to do and see in Naha? Let’s take a look! 8 Must-see Spots in Southern Okinawa – from Popular Spots to Hidden Gems! Southern Okinawa is composed of seven cities and towns. This area is filled with beautiful scenery, fun hands-on folk craft workshops, and beaches with untouched nature that are surprisingly not well known. We’ve made a list of top 8 recommendations to help you plan your Okinawa trip. 8 Must-see Spots in Central Okinawa – from Popular Spots to Hidden Gems! 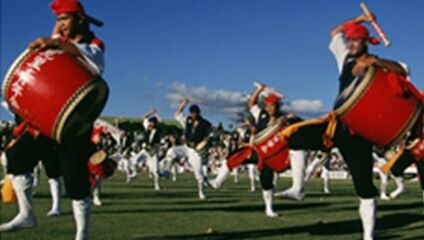 Various aspects are concentrated in the central area of the main island of Okinawa. There are spots you can enjoy spectacular views, relishing local gourmet cuisine and American culture. Let us introduce the 8 selected spots as a reference for your trip to Okinawa. 8 Must-see Spots in Northern Okinawa – from Popular Spots to Hidden Gems! 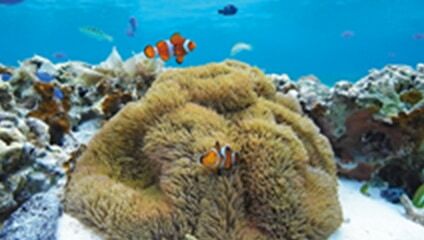 Northern area of the main island of Okinawa is a region richly endowed with nature. There are numerous popular site-seeing spots and unspoilt landscape of Okinawa, as well as cafe in the forest that makes you forget time. Let us introduce to you the 8 recommended tourist spots that are located in the northern area on the main island, such as Nago City and Motobu Peninsula. 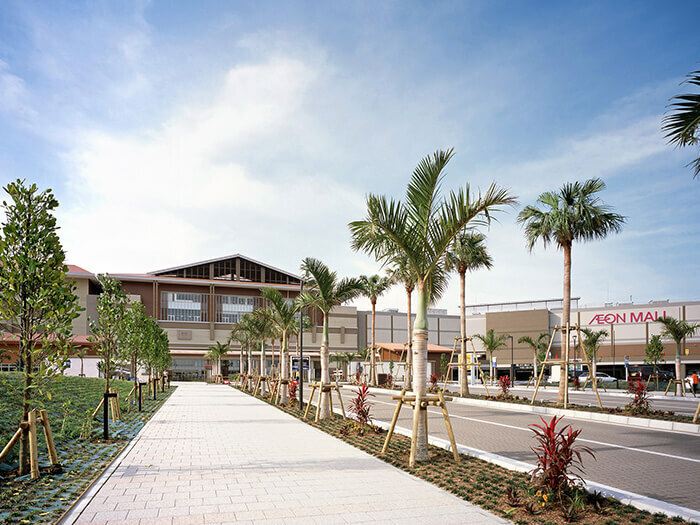 Situated in the central part of Okinawa mainland, Chatan is a town where visitors can enjoy the resort life much like the American West Coast. 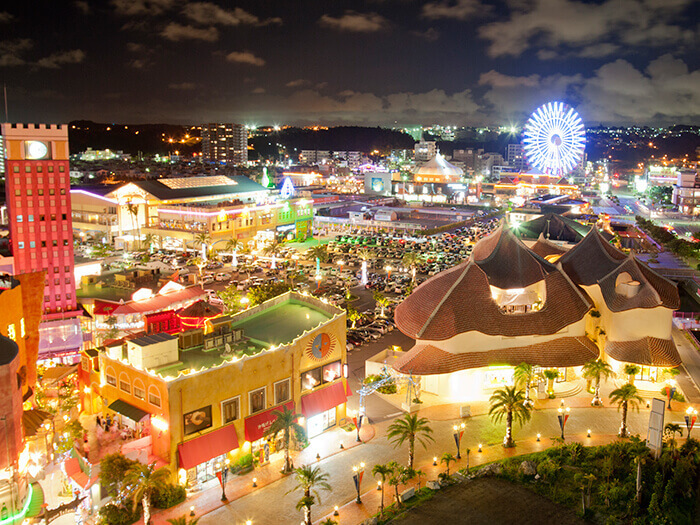 We’d like to share with our readers 8 must-visit spots of Chatan. From cafes, shopping, and even sunsets… There are just so many things to do here that’ll make you want to re-visit at different times of the day! Chatan is full of excitement and is ideal for a group vacation friends, and even a family holiday with kids too. How to enjoy Shurijo Castle, the roots of Okinawan culture, and all its attractive features! Beer lovers must take a look! Let’s go to Orion Happy Park. If we were to talk about liquor that you should definitely taste in Okinawa, then it’s Orion Beer! Once you pour it down your throat, you will undoubtedly be captivated by its light and creamy feeling. This time, we will go to the Orion Beer manufacturer “Orion Happy Park” (Orion Beer Nago Factory) and introduce to you the characteristics and attractiveness of Orion Beer. The World Heritage Sites at times impart energy on visitors in a magical manner, merely from entering the area. There are a number of locations in Okinawa that have been registered as World Heritage Sites. The World Heritage Sites in Okinawa consist of five Gusuku sites (castles) and four related legacy properties, which are officially referred to as the "Gusuku Sites and Related Properties of the Kingdom of Ryukyu." They were registered in 2000 as the 11th set of World Heritage Sites in Japan.br>World Heritage Sites in Okinawa feature unique environments that differ from those of castle ruins or structures on mainland Japan. All five Gusuku sites are located on high ground, and the exquisite views from those sites are also part of the attraction of the World Heritage Sites in Okinawa. These five Gusuku sites and four related properties are introduced here. 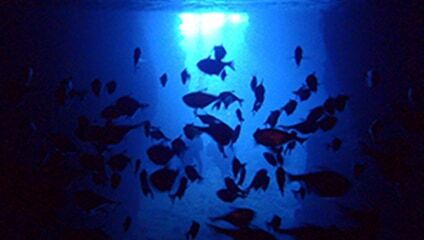 Okinawa Churaumi Aquarium is located in Northern Okinawa, at the easternmost point of Motobu peninsula. After a major renovation in 2002, it has become a popular destination. We will introduce the tourist spots that are recommended for Okinawa beginners! You will absolutely enjoy Okinawa. This covers the points from standard spots where many travelers to Okinawa visit, to recent popular spots. Let’s stop by the recommended spots and shops around each tourist spot. Town Walk Kokusai Dori St. Some people go to Kokusai Dori St. just for souvenir shopping, whereas, you can also fully enjoy experiencing different kinds of food while learning more about Okinawa. Try walking along with the street, or even exploring behind shops thoroughly. Have fun! 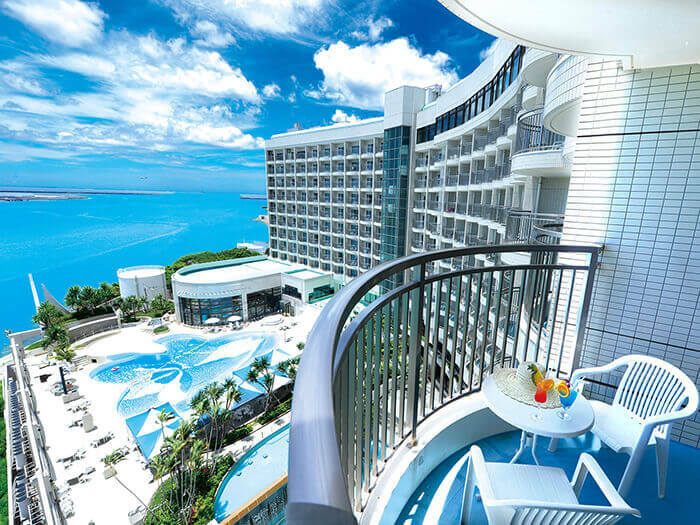 We recommend at least a 4-night stay to fully enjoy Okinawa. We are your Okinawa travel resource and would like to introduce you to the best trip plan by rental car. Travel on your own time to watch, eat, play and shop. 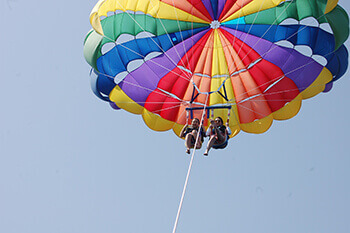 Parasailing is an increasingly popular marine activity in Onna village, which is home to many resorts. One gets to see Okinawa’s vast, multi-colored ocean from high up in the sky. You get to choose the altitude between 40-50 meters and 200 meters; the thrill takes new shape at different heights. Here’s our report on the excursion in the vast sky with Como Outdoor Club! Okinawa, an island surrounded by the ocean is a treasure box of beaches. The ocean in vivid emerald, white sand, and the clear water that you can see through to your feet. There are a lot of beaches that are specific to tropical islands. We will select special ones from them for you. 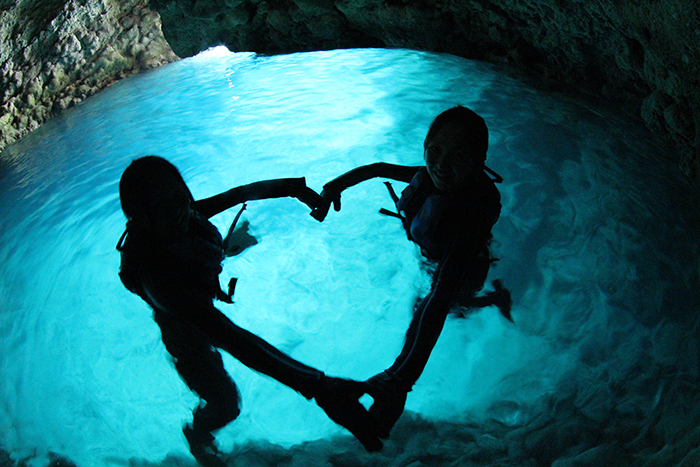 Anyone can enjoy snorkeling in the nature-given cave known as “Miraculous Blue”. You can’t swim! You want to save some time for sightseeing and shopping! Don’t worry. The veteran instructors are there to meet your various requests. Humpback whales appear in waters around Okinawa during the winter. Let’s go and watch them up close as they get you all excited with their dynamic actions. Immerse yourself in a subtropical natural setting! Hiking in Okinawa is a truly unique experience. Many people likely imagine ocean when they hear about Okinawa’s natural wonders, but Okinawa also boasts lush forests, mountains, and rivers that are as beautiful as the ocean. This article introduces you to Okinawa Hiking Tour, in which you get to enjoy Okinawan mountains, forests, and rivers. This information is perfect for those who want to hike in Okinawa’s unique natural environment and for those who are looking for outdoor activities in Okinawa. A must-visit spot in Okinawa’s southern region! What makes Michi-No-Eki Itoman so attractive? Michi-No-Eki Itoman is the southern-most Michi-No-Eki in Japan. 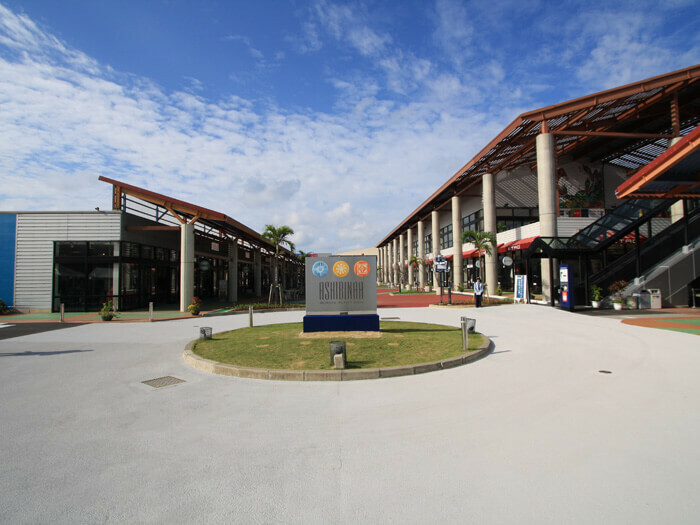 Located in the southern region of Okinawa’s main island, it’s got a farmers’ market (the largest in Okinawa) and a fish market directly run by the Fisheries Cooperative Association. You can purchase fresh vegetables, fruit, and seafood at reasonable prices, which is why it’s always packed with tourists and locals. It’s also easy to get to from the Naha Airport, and it has a great selection of Okinawan souvenirs—a perfect place to stop during your drive. The food court offers Okinawan dishes, which you can take to-go. This charming place will make you want to try everything you see. Here’s our report on what makes it so attractive. Check out Calbee+ Okinawa Kokusaidori Street. It’s full of deliciousness! 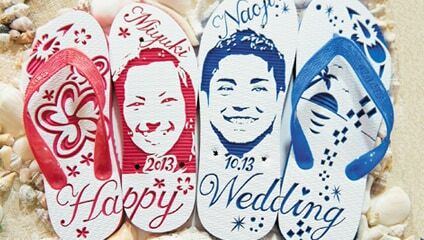 Pay close attention if you’re looking for a “different experience” or if you want to bring back “unique gifts” from your trip to Okinawa. 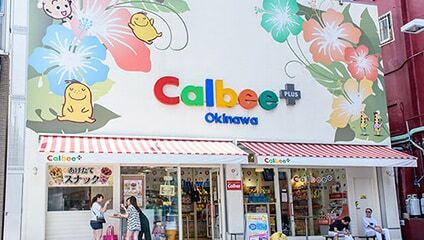 We’ll be showcasing Calbee+ Okinawa Kokusaidori Street where visitors can indulge in hot snacks and find great and unique gifts. Ishigaki is one of the Yaeyama Islands, which are situated in the most south-western end of Japan. It is an island endowed with lush subtropical vegetation and surrounded by beautiful coral lying beneath clear blue waters. 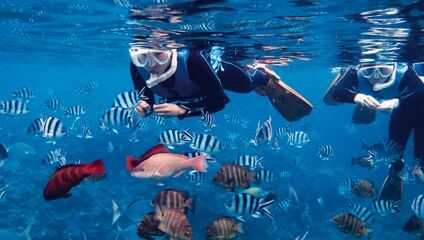 This article features five Ishigaki attractions not found on mainland Okinawa, such as Kuroge Wagyu Ishigaki Beef, swimming with colorful tropical fish, or experiencing the making of nature-inducing imagery in glass. You can collect photo-enhancing souvenirs or just sooth the body and soul with aromatic oil massages. These five things will undoubtedly gratify even the novices to Ishigaki. Kouri Island, accessible by car, is a popular yet secluded island. Located in northern Okinawa, it is a part of Nakijin Village. 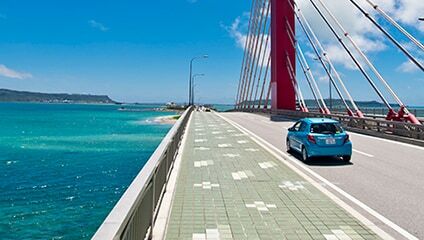 Your anticipation rises as the spectacular views stretch over the emerald blue ocean on the two-kilometer Kouri Bridge. This alluring outer island is filled with beautiful natural beaches, cafés, and magnificent views. A TV commercial was filmed in one its scenic spots. Kouri Island is often dubbed as the “Island of Love” since there is an old folklore that tells the tale of a romantic story of the Okinawan version of “Adam and Eve”. We shall introduce you the island’s charms. Sesoko Island is a popular destination because it’s an island that can be reached by a quick, 15-minute car ride from Churaumi Aquarium. Introducing 8 recommendations for those who want to have a laid-back time in Okinawa, from secret beaches to a peaceful cafe in a traditional Okinawan home and souvenir shops. It only takes a day trip to fully enjoy these 6 remote islands. Reachable by boat from the main island of Okinawa. You probably want to experience both the main island and remote islands on your long-awaited trip to Okinawa. Here we introduce 6 remote islands that are perfect for a day trip from the main island. Surprisingly enough, there are roughly 150 islands in Okinawa prefecture. You’ll be able to spend some slow, relaxing time chatting with locals in idyllic scenery. Get to Minna Island or Ie Island from northern Okinawa or the Kerama Islands and more from Tomari Port in Naha. There are many islands that are fully enjoyable with just a day trip. They are must-see spots for first-time visitors and veterans to Okinawa. Perfect for Drives! 5 Islands You can Drive to from Okinawa Mainland! We get it. You’re here in Okinawa and you want to explore every nook and cranny… but you’re limited for time and you want to keep costs down. Don’t let time and money stop you from having all the fun. 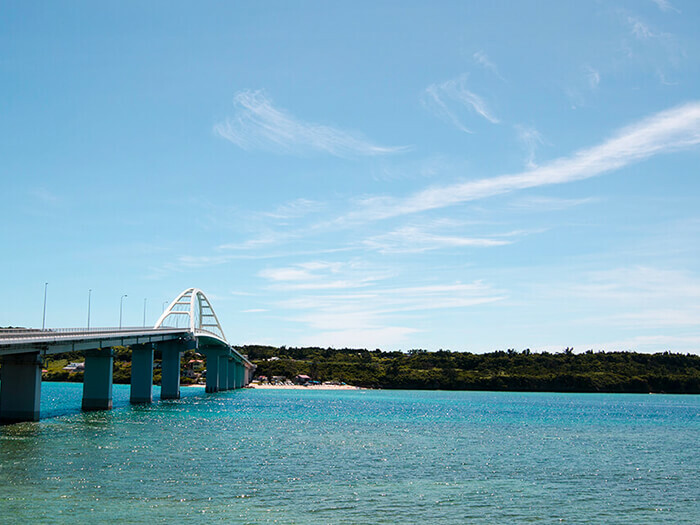 Kouri Island and Sesoko Island are popular islands that you can get to by car from Okinawa mainland and we’ll introduce you some more. Make these spots the highlights of your vacation – or visit them if you have time to spare. 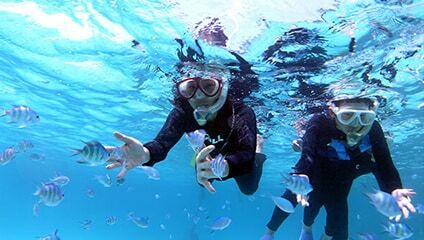 The beautiful ocean called Kerama Blue around Kerama Islands has been registered as a national park since March, 2014. Here are very useful info about great beaches in Tokashiki, Zamami and Aka islands. You can take one day trip from Naha to those islands. Family vacation with kids tend to be centered around kids, but if you choose the right hotels, even grandparents will have fun at their own pace! As your home base, these recommended hotels let you get lots of rest time and offer great relaxation amenities. You may think that Okinawa is warm throughout the year, but it actually gets a little chilly starting in mid-December. This chilliness induces Okinawan cherry blossoms to bloom from January to March. Somei Yoshino, characterized by its pale white color, is the most common cherry blossom species in Japan. 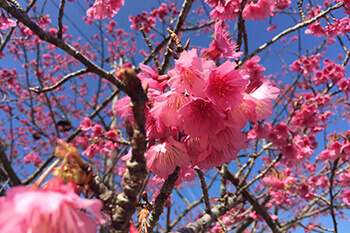 But the species you’ll see in Okinawa is called Ryukyu Kanhizakura, which has a vivid pink color, and it’s known for blooming earlier than any other cherry blossoms in Japan. In mainland Japan, the “cherry blossom frontline” makes its way from south to north, but in Okinawa, the frontline goes the opposite direction, from north to south. Explanations abound for this phenomenon, but the common understanding is that the cold temperature the flower buds need to bloom, which were formed in summer, moves from the northern area of the Okinawa main island (especially from the mountainous area with high altitude) to the southern area; hence the direction of the “frontline.” This article introduces you to amazing cherry blossom sites in Okinawa! Visit these places and get an early peek of spring! 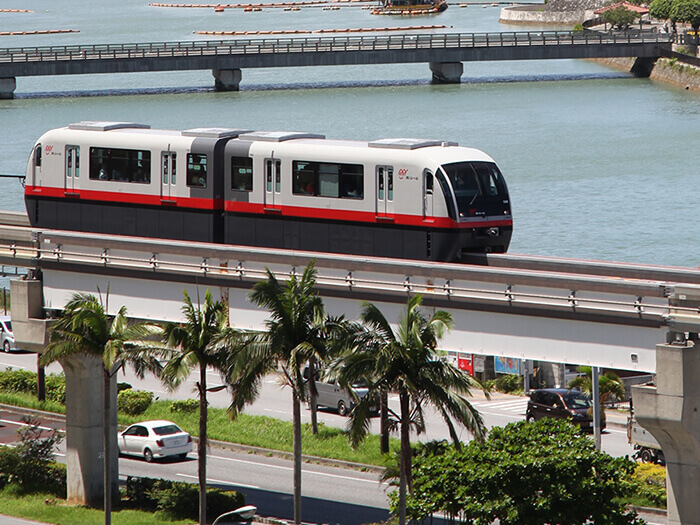 Yui Rail, an exciting city monorail in Okinawa. There’s more to it than just a transportation method! 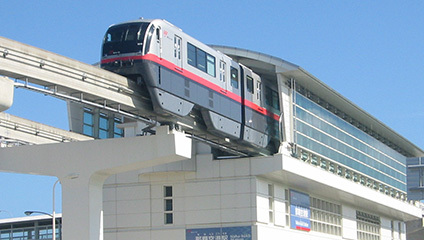 Yui Rail, a city monorail in Okinawa, began operation on August 10, 2003. It draws a wide range of ridership, from locals to domestic and foreign tourists. The monorail track will be extended and 4 more stations will be added by the summer of 2019 (at the earliest) for further convenience! We will show you how to maximize your experience with Yui Rail and also introduce some tourist spots in Naha that can be accessed using the monorail. Naha is a convenient place to stay if you’re planning to fully explore Okinawa. Consider staying in one of these 8 recommend hotels! 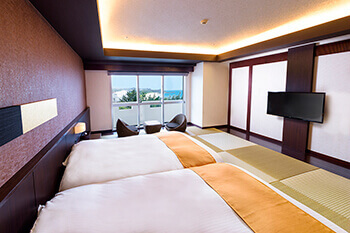 For those who want to fully explore Okinawa, Naha is the most convenient place to stay. It allows you to have easy access to the airport and to the expressway. 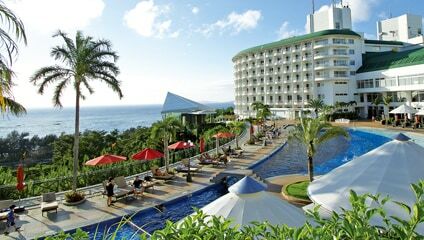 The hotels in Naha are also relatively inexpensive compared to the luxury hotels on the west coast. The editorial group came up with a list of recommended hotels, which we will introduce in detail! The comfort you’ll experience will make you want to come back. Definitely consider these options when you search for hotels! Enjoy cherry blossom viewing in Okinawa, the season’s earliest in Japan! Cherry blossoms bloom towards the end of January in Okinawa. 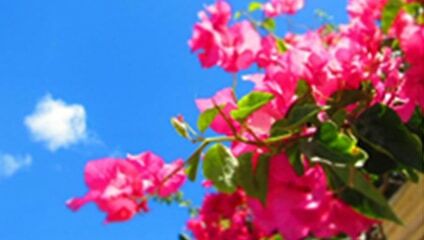 Therefore, cherry blossom festivals take place around this season and several places in Okinawa. Please bring your camera with you and find a hint of spring. Introducing recommended illumination event in Okinawa! Illumination events take place at several sites in the Okinawa main island in December. Why don’t you join the event, making your romantic memories. Please bring a warm outer wear since it can be chilly at night. 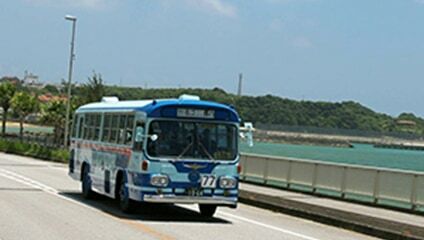 A great way to move around within Okinawa, for those of you who are visiting for the first time on their own, is the bus. There aren’t any trains in Okinawa, so the only public transportation is the monorail in Naha-City. Other than that, your only options are taking the taxi, the bus, or renting a car. Many visitors opt for renting a car because of the flexibility it offers, but driving in an area you aren’t familiar with can be nerve-racking. You also can’t have a sip of alcohol if you’re a driver. Don’t you also wish you could enjoy the view while traveling? If so, the bus is definitely for you. We’ll let you in on how you can make the most of your bus ride.